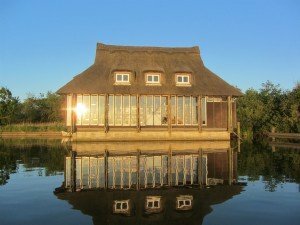 The history of the Norfolk Broads is one of fascination. If you're thinking about visiting, it's well worth reading more about the history of this area, and so gain a little understanding about it's waterways and how they came to be. While they may appear to be naturally formed, the Norfolk Broads are actually man-made. In the 12th century the East of England was experiencing a population boom, creating a strain on the supplies of timber. For this reason, the locals looked to turbary, or peat digging, to find an alternative. 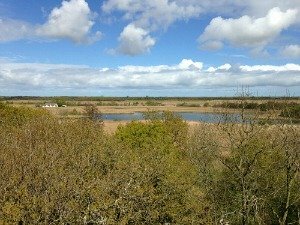 By the 14th century, the 125 miles of deep holes that had been created in the Norfolk Broads were regularly flooded, making digging impossible. However, these new waterways proved valuable for transport and trade in the centuries before the railway. 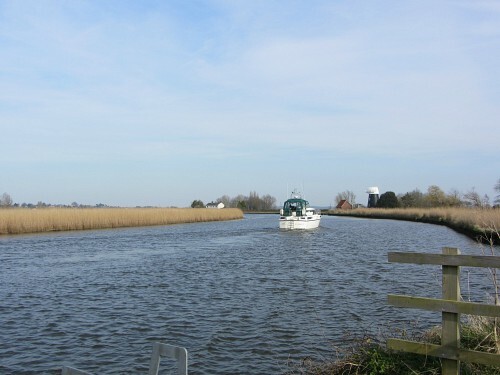 After the railways brought greater accessibility to the area, the Broads became a popular location for boating holidays and day trips for visitors from around the country. 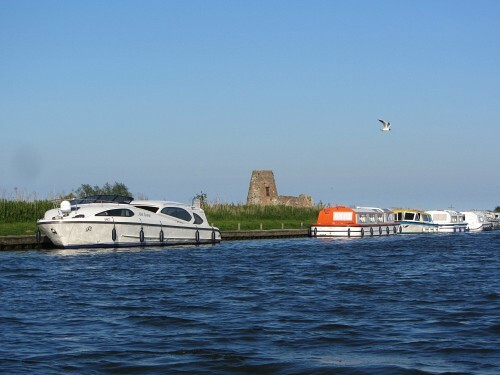 John Loynes began the first boat hire firm in at Wrohxam in the 1870’s, marking the village as the centre of the early tourism and pleasure boating, leading to Wroxham often being called the capital of the Broads. 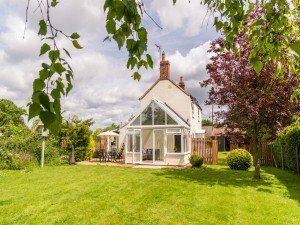 We will be adding more places to stay and eat over time, but in the meantime, here are two lovely places that are located in the quieter Trinity Broads. 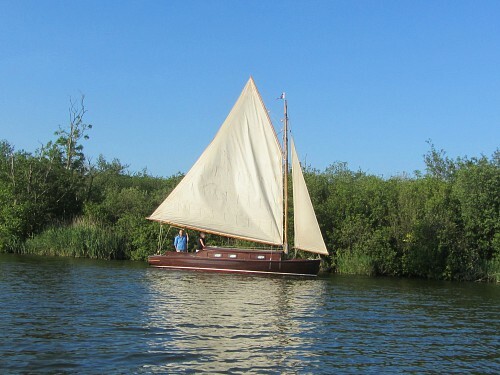 The most famous boats in the history of the Broads are surely the Norfolk Wherries. You can actually walk the Wherryman’s Way which follows the River Yare from Norwich to Gt Yarmouth, and this was the route used as the primary commercial transport before road and rail. The wherries have become iconic due to their large, single sail which was often black to signify a trader. 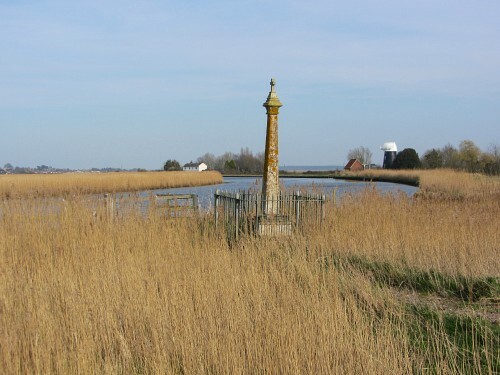 Combined with a forward-stepped mast, this unique design gave wherries the ability to navigate difficult areas of the upper Broads where the waterways could be particularly narrow or shallow. The accessibility this offered was crucial to the region’s trade in the 1800s as it allowed the transport of goods from coastal ports to Norwich and smaller villages even further inland. As their use for trade reduced in the face of road and rail, many wherry owners adapted their boats to make the most of the increase in tourism in the late 19th century. 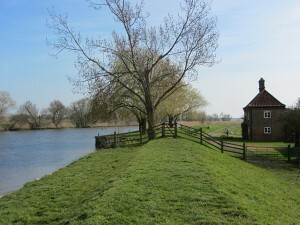 As interest in the Broads as a holiday destination continued to grow, pleasure wherries became more common. These maintained the traditional sails but were fitted with cabins and hired out, along with a crew, as a luxurious option for visiting tourists. Eventually technology caught up with the wherry as holiday makers opted for motor powered boats which they could control without the expense of a crew. There are now only eight Wherries in existence. Despite this, visitors may still catch a glimpse of the famous black sails thanks to organisations like the Norfolk Wherry Trust, which restored and still sails the Wherry Albion, a wherry that was launched in 1898. 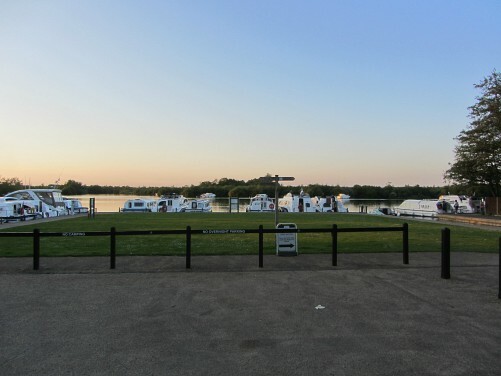 By the turn of the 20th century the Broads had become an incredibly popular location, not just for holidays, but also yacht racing, with regattas being held all around the region. Boating in the Edwardian era saw a push towards technological advances as competitive owners pushed for faster and faster yachts. Technology, it seemed, was taking large strides. But this progress was to be slowed. and The Boathouse, Ormesby Broad. 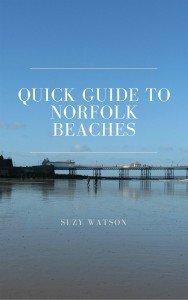 Close by is a small private holiday park called Beachside Holidays Norfolk which you can read more about here. In August 1912 eight inches of rain fell in less than twenty-four hours. The resulting flood and gales caused great damage across the region including destroying many locks and bridges. The following year saw the army propose Hickling Broad as a potential base in anticipation of World War One. While preparations were made, the base was not used. It took until 1918 for the Broads to be commandeered under the Defence of the Realm Act. Hickling Broad is the largest broad and is now a nature reserve managed by the Norfolk Wildlife Trust. While war did not slow the popularity of the Broads as a holiday location, yacht racing came to a sudden stop as many of those involved were called up. The cost of building and maintaining boats like these was viewed as too expensive and racing never recovered. Instead, the following decades saw small sailing boats becoming increasingly popular. By the 1930’s motor boat racing, which had been stalled by war, was revived with the forming of the Oulton Broad Motor Boat Club in 1933. Within a few years motor boats were a common site across the Broads. The outbreak of World War Two had a far greater effect on the Broads. As the country prepared for invasion, the military took over the region after identifying the Broadlands as a potential weak spot. Rather than racing yachts or luxury boats, boatyards were now constructing military vessels. Boats of all types, including some of the remaining wherries, were moored in open water to create blockades and stop seaplanes landing. Restrictions on visiting the Broads were lifted in 1943 but it took until the late 1950’s for tourism to return to the area in pre-war numbers as the effects of conscription, rationing and the damage caused by war slowly eased. By the 1960’s the Broads had recovered and was again one of Britain’s most popular holiday destinations. The number of motorised boats for hire continued to increase as boats began to take on sleeker designs and more modern conveniences. The development of plastics during the war had a great effect on the construction of boats as these new, lightweight materials began to change the fundamentals of boat building. A great example of this is fibreglass which, being strong, lightweight, and waterproof, was an excellent alternative to the wooden framework of boats built up to this point. Initially it was used in conjunction with wood, but by the 1970’s it had replaced much of the timber on newer boats and became the standard material that is still used today. In 2015, the Norfolk Broads were renamed, officially becoming the Broads National Park - England’s 15th National Park. This move offers national recognition of the importance of the Broads, not just for its wildlife, but also its cultural and historical importance. 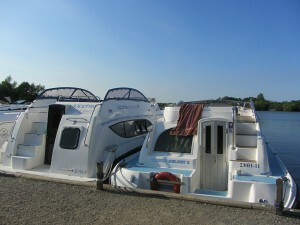 Today, boating holidays and mooring on the Norfolk Broads is more accessible than ever. The continued increase of leisure traffic on the waterways since the 1950s demonstrates the enduring popularity of the region. This passion for boats is not just about the latest technology or luxury travel. Wooden boat restorations and the preservation of history are an important part of what makes the Broads special. Local events have also sought inspiration from the area’s boating history including the Great Yarmouth Maritime Festival, demonstrating enthusiasm for the craft of boats from across the centuries. The Norfolk Broads certainly has a long history of boating and creativity in boat design, and even still, the passion for the waterways is still very much alive and thriving today.